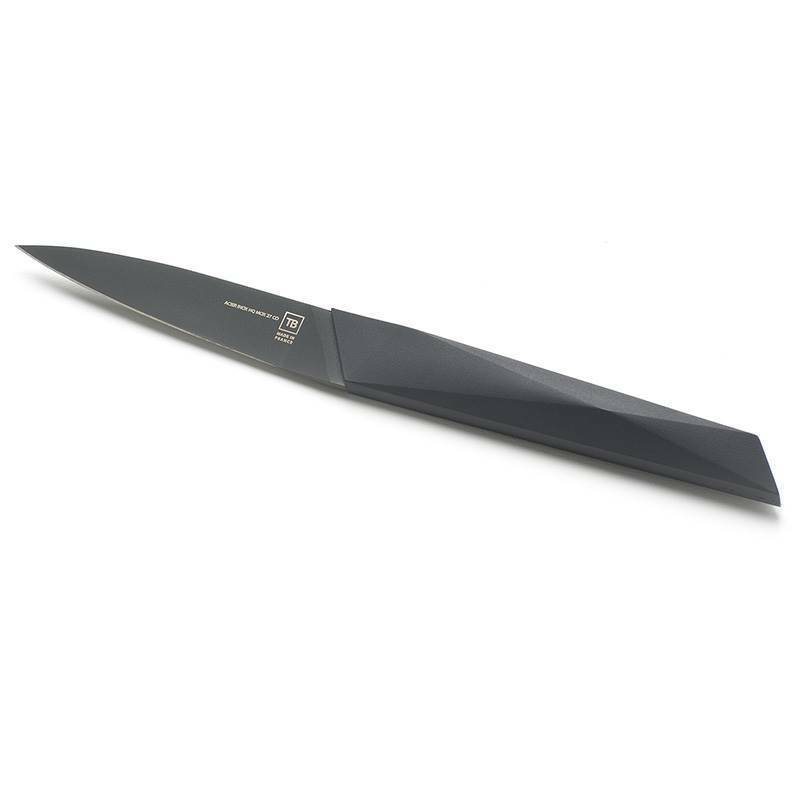 The black blade of this professional paring knife is made of an alloy of chromium and carbon that ensures an extraordinary sharpness and an unrivalled resistance. 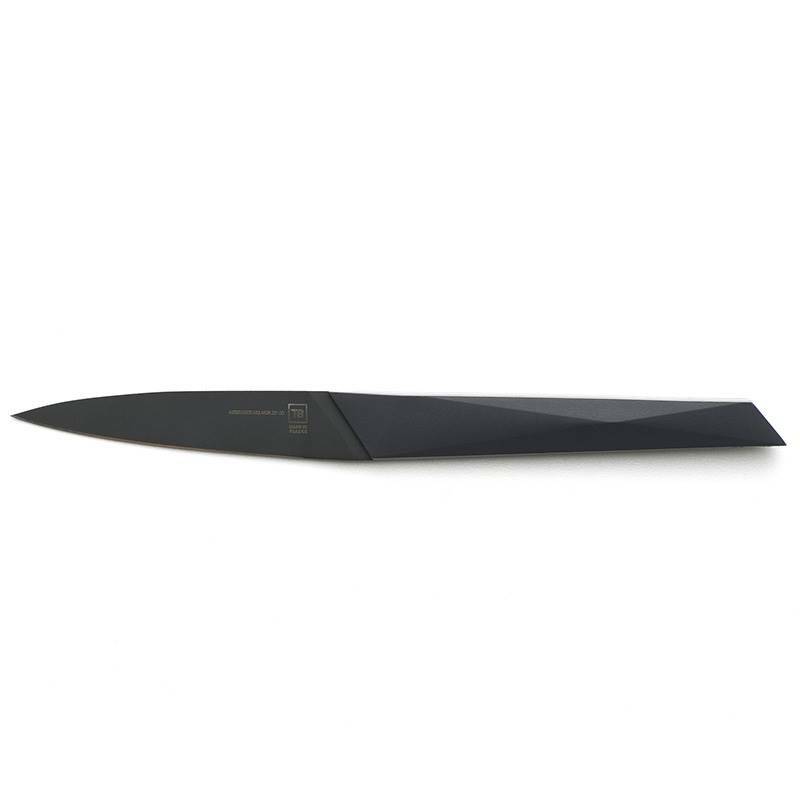 The small size of this design Furtif knife offers an amazing easy handling to cut and peel small pieces as well as delicate meat, with an infinite precision. In the cutlery market, the 9cm Furtif paring knife is a professional knife from the latest generation. Tarrerias-Bonjean always pushes the technical boundaries to offer every cook the best knives. 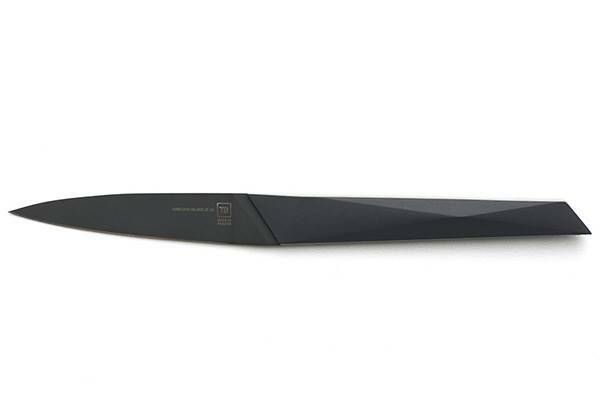 The ultra chic and modern design of this black blade knife allies ergonomic comfort and high precision to ensure a multipurpose use. 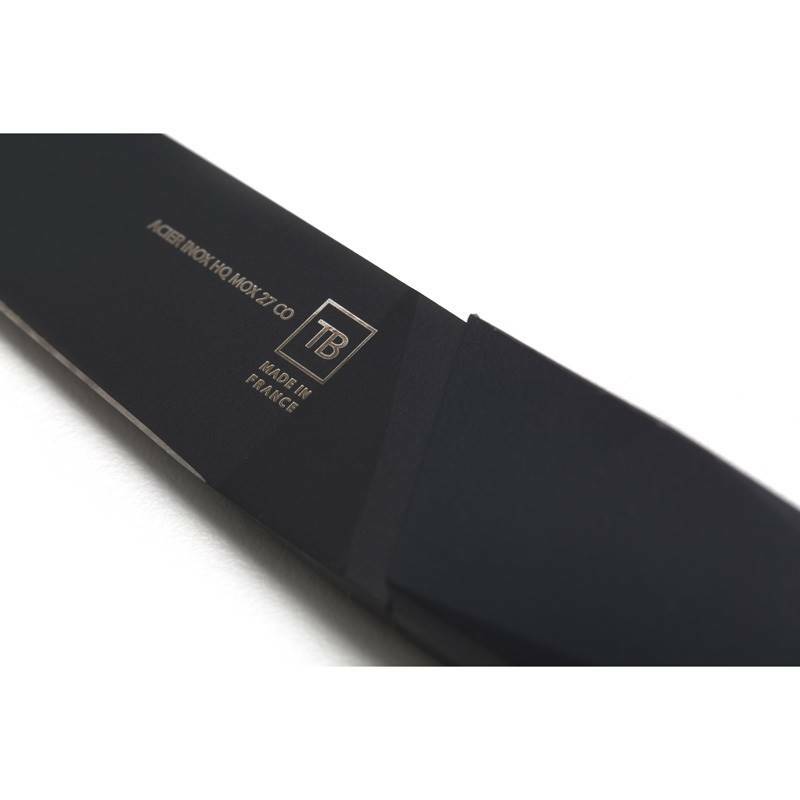 The elegant black blade of this paring knife can be personalised by laser engraving with a writing up to 30 characters.